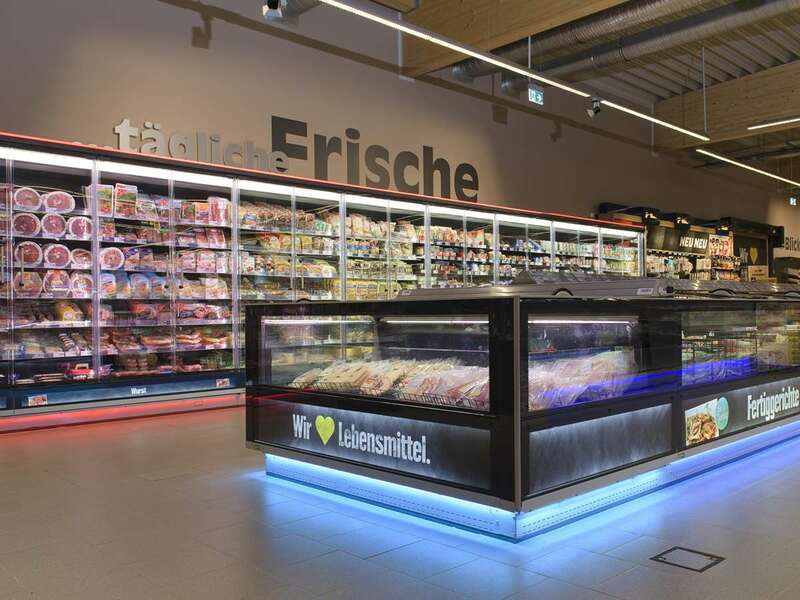 Ever since grandfather Spiegel’s days, authenticity and individuality have been and remain the foundation stones of the business policy of the owning family, the Spiegels. 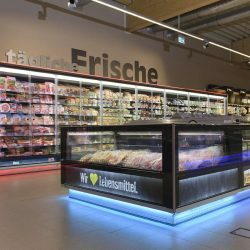 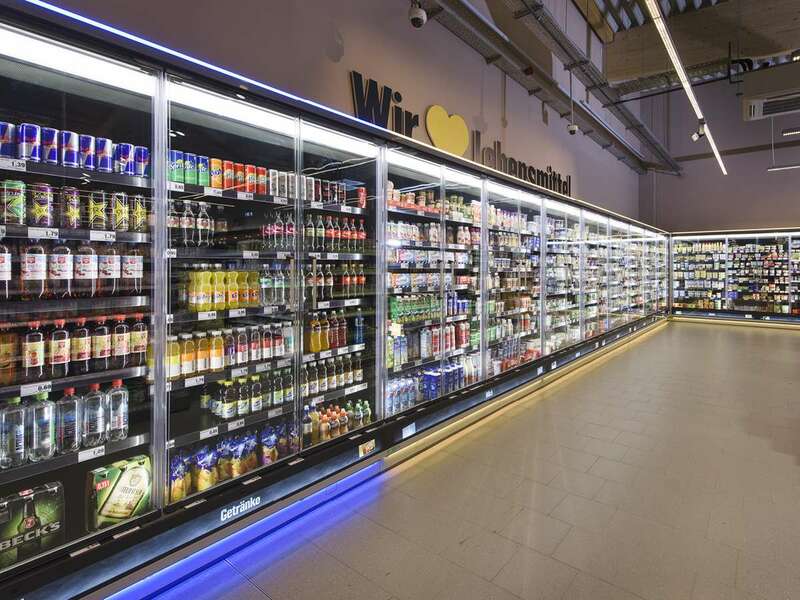 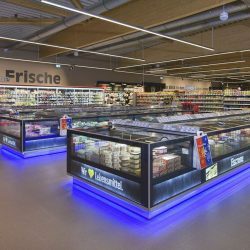 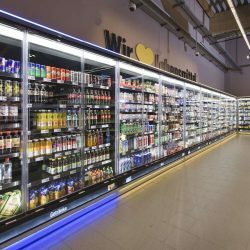 As a result, it is logical for their new EDEKA market to be positioned as an entity combining traditional and modern aspects. 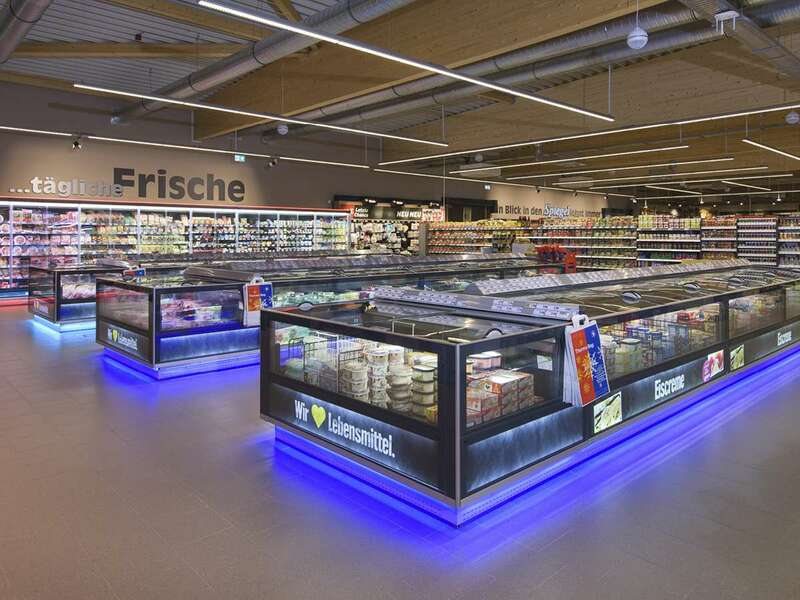 During a construction period of only 7 months, a completely new and modern retail facility was constructed at the easily accessible Lange Laeng 2 site in Kist, offering a feel-good factor for the best shopping experience. 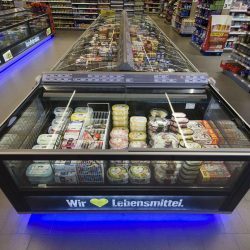 The beating heart and magnet for customers is an owned and managed bakery which harks back to the company founder and grandfather of the three Spiegel brothers. 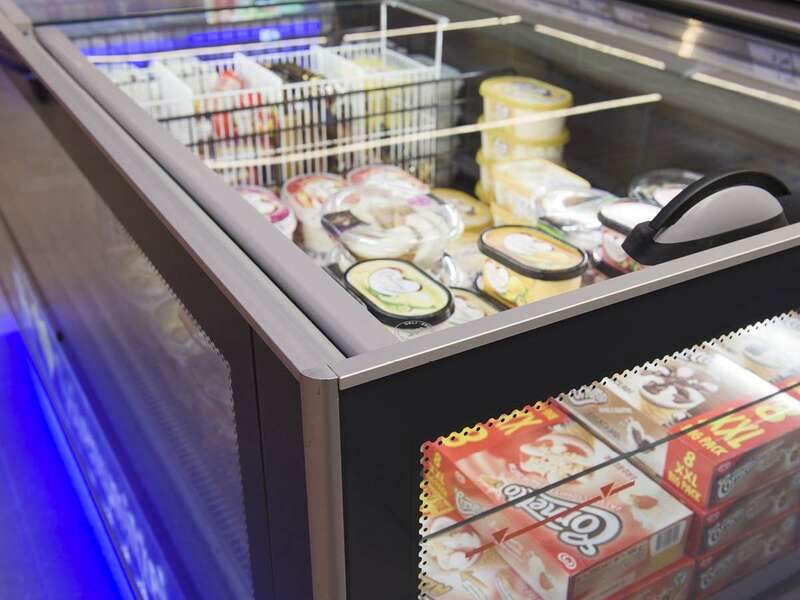 An adjacent café with 40 seats and an outdoor terrace is open 7 days a week. 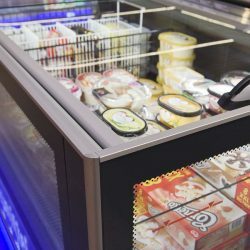 This is an important unique selling proposition amongst retail facilities in Kist. 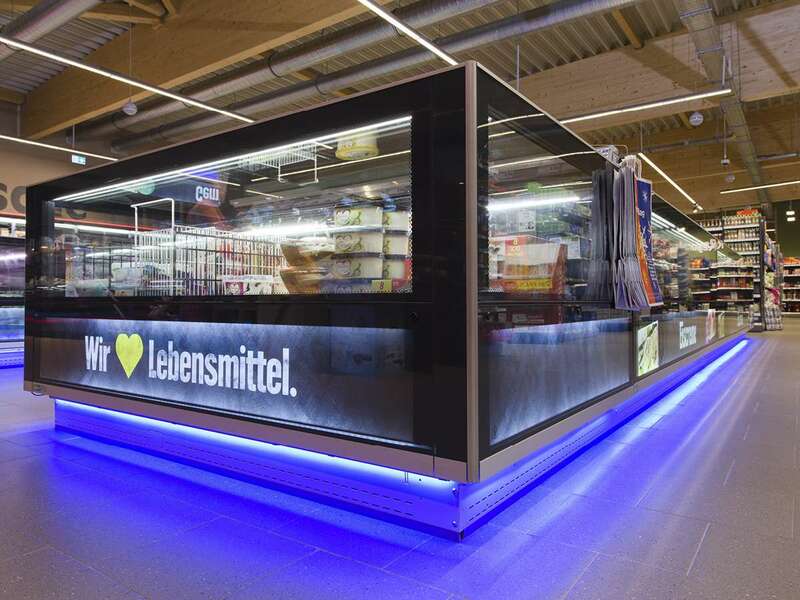 Now, the sales area has been expanded from 700 to 1200 m² and provides a first-class merchandise presentation divided into topic worlds. 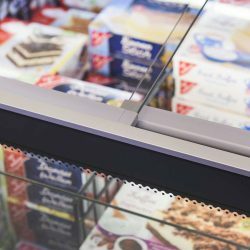 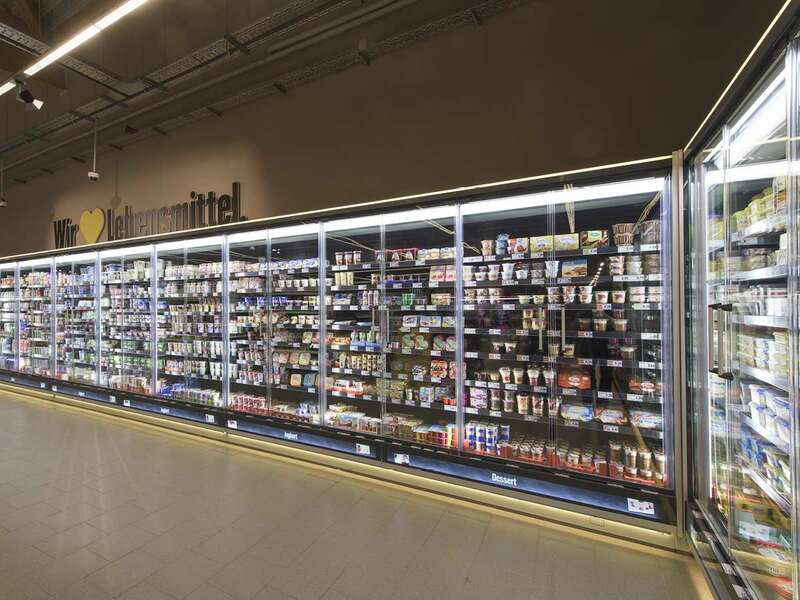 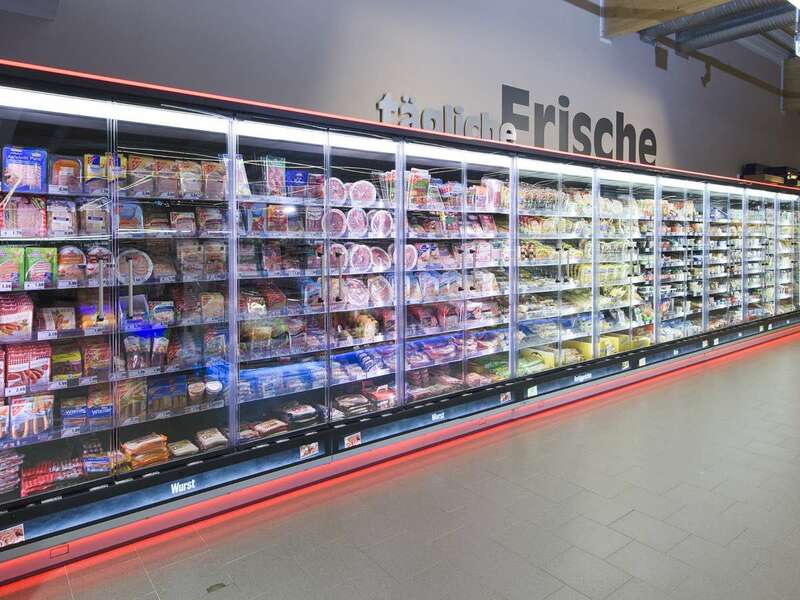 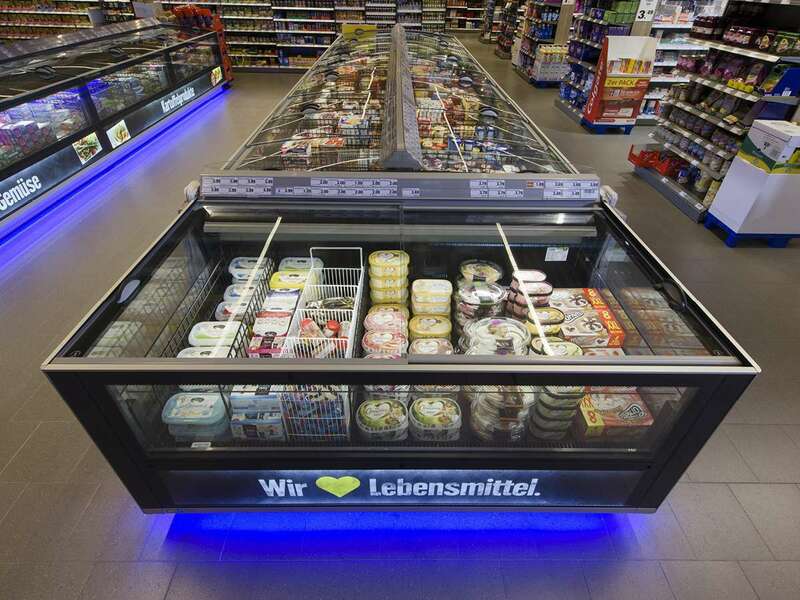 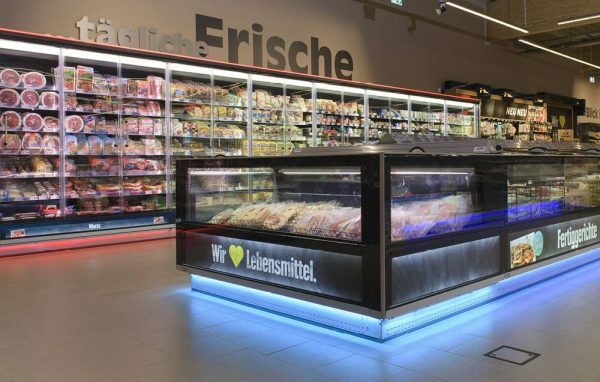 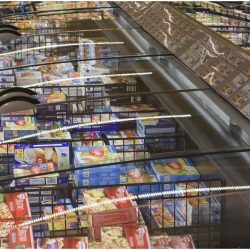 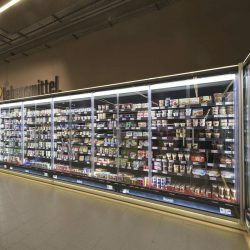 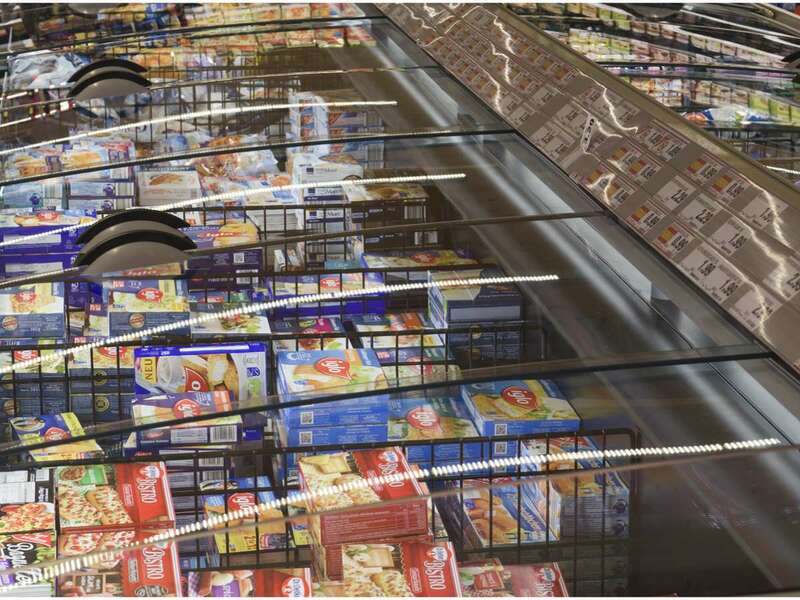 In the refrigerated and deep-freeze areas, more than 40 linear meters of PURE cool LUX Slide deep-freeze islands and more than 30 linear meters of PURE cool Door T wall multidecks ensure that quality and freshness are optimally maintained. 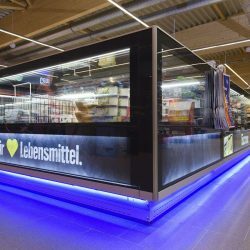 The ground-breaking design with glass and light both informs and guides customers through the expanded range of merchandise. 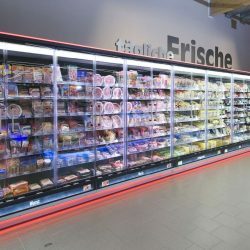 For example, lactose and gluten-free products, vegan foodstuffs and organic products are presented in the best possible way, as today’s customers have come to expect. 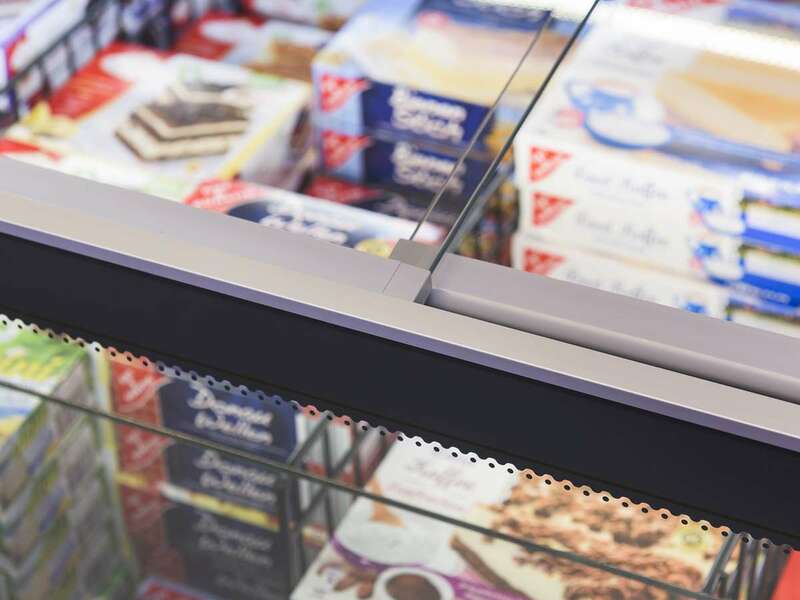 Maximum energy efficiency in cooling and lighting of the PAN-DUR refrigerated and deep-freeze cabinets also comply with the most ambitious sustainable standards.